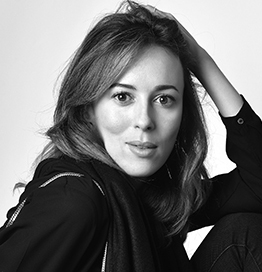 Nezha Alaoui is not only the Creative Director of her own brand Mayshad Paris, but is also an artist, successful photographer, designer, mother and humanitarian. Nezha didn’t just create a fashion brand for the love of luxury but to send a message to women across the world to empower themselves and world in which they live in. With an amazing fashion mantra of, “I want every woman to use fashion and luxury for the enhancement it brings to their lifestyle, not because of any social pressure,” the Creative Director & founder of Mayshad Paris, Ms. Nezha Alaoui spends most time between New York, Morocco, LA, Dubai and her atelier in Paris where she seeks inspiration in cultural diversity, human interactions and artistic encounters. In what she calls her bubble, she navigates between textures, shapes and colors using her photographer’s eye to sharpen her sense of aesthetics and apply it to her lifestyle designs. Besides being a creative woman of substance, Nezha also reaches out to an international women’s community, as a motivator, through her magazine, www.mayshadwomanmag.com and empowerment club, www.mayshadwomanclub.com, with a strong message for women to ” Be who they want to be”, a movement that inspires women to accept themselves as they are and embrace the different aspects of their lives with love and passion in order to achieve their goals and dreams. In October 2015, Nezha launched the Mayshad Woman Club, through various networking luncheons with business women from the Arlington community. With a strong message of “How we can connect and support one another as we nurture the spirit of entrepreneurship and the importance of education, cultural diversity, tolerance and social responsibility for the next generation of women and girls.” Post the launch of the Mayshad Woman’s club received a positive response from various women associations, Nezha was invited to speak at many international forums on women empowerment endorsing the strong message of, “Be who you want to be”. Nezha also launched a social empowerment initiative in collaboration with the Polish embassy for cooperatives that produce Couscous and went on to launch the book, “Women, Secret of the Saharian Morocco” in collaboration with Emmanuel Dierkx de Casterlé, former United Nations Ambassador in Morocco, Sofitel Casablanca Tour Blanche. In May 2016 at the Women Economic Forum in India, Nezha spoke to women from 108 countries on “How to live our best life ” She also received an award in the category, “Iconic Women who are creating a better world for all ” by the World Economic forum and the All Ladies League.